DOS Inside Out Software, Inc. Characters can be imported from Might and Magic Book One: The Secret of the Inner Sanctum (see Import characters). Characters can be imported from Might and Magic Book One: The Secret of the Inner Sanctum. Go to the installation folder for the first game. 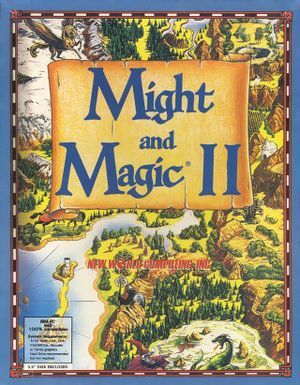 Go to the installation folder for Might and Magic II. In the game choose to Start Game (S), then Transfer Characters (T). Wait for the text entry prompt to appear, then type ROSTER.DTA (or whatever your roster file is called). Press Y to confirm saving the imported characters in the roster. Imported characters are copied into ROSTER.DAT; the original ROSTER.DTA is no longer needed. Where are we, an automap program for Might & Magic 1-5. ROSTER.DAT stores all characters; it must be present to play (an empty file with this name will also work). ROSTER.DAT also stores the in-game settings. This page was last edited on 18 April 2019, at 09:55.